Jared Hess is a filmmaker who catapulted to fame with his independent movie Napoleon Dynamite. He is a member of The Church of Jesus Christ of Latter-day Saints. Hess was born on July 18, 1979, in Glendale, Arizona, and raised in Kansas, Idaho, and Utah, and traveled extensively around the world before he attended Brigham Young University. 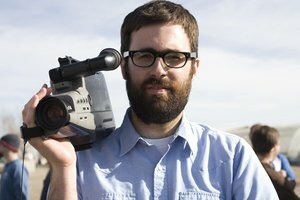 While at BYU, he learned camera work and, with his wife, Jerusha Hess wrote and directed the short screenplay Peluca that would evolve into Napoleon Dynamite. The movie premiered at the Sundance Film Festival, was acquired by Fox Searchlight Pictures and Paramount Pictures in association with MTV Films, released in 2004, and quickly attracted a cult following that propelled the star Jon Heder into a Hollywood career. It grossed over $46 million. Hess said that “Napoleon Dynamite” was the name of a man he met on the streets of Cicero, Illinois, while he served as a missionary. Hess then developed a second movie, Nacho Libre, and a third, Gentlemen Broncos. Disney hired him to direct The Pet, and he wrote and directed Don Verdean. The movie Masterminds, which he directed, will release in August 2015. It was announced in May 2015 that he would team with Jack Black again for a comedy titled Micronations. Hess and his wife are the parents of two children and live in Utah. This page was last edited on 19 June 2015, at 21:39.